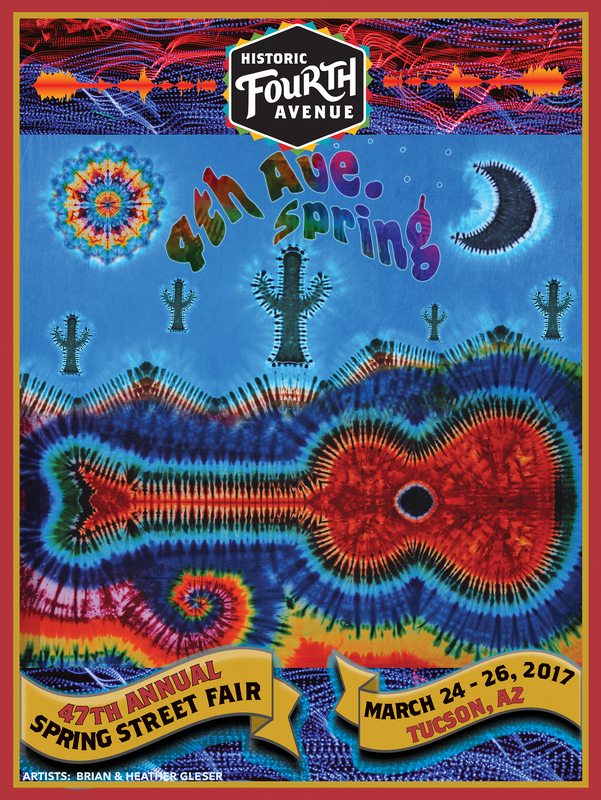 The Fourth Avenue Street Fair Poster is as iconic as the event it promotes. Artists from Tucson and around the world have contributed their talents for our biannual poster. While some images have been lost to time, we have become more diligent in creating and maintaining a collection of digital images. We maintain a supply of vintage posters for sale, which are available during the Street Fair and through our Official T-Shirt Sponsor, Aladdin Graphics on Apparel. Please call them directly for availability and pricing. Here is a collection of some of our posters!